Our main client at present is the Goldsmiths' Company based in Central London. We are contracted for their many prestigious shows, fairs and events that take place in their Goldsmiths' Halls, Foster Lane, WC2. The Cultural Industries Development Agency (CIDA), we have installed on several of their large projects in East London. The last being the Creative Links Expo at the Truman Brewery. The Royal Photographic Society Awards exhibition, at the offices of Allen & Overy, Bishopsgate, London. 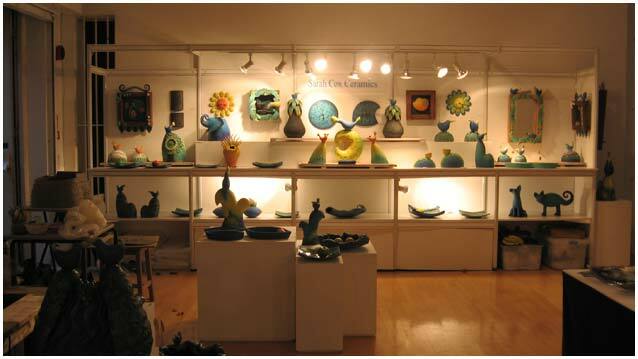 Many Arts Council sponsored projects such as: Art at the Arora, Bromley Festival (Art Show section). We have also installed Degree Shows for several Art schools including: Bath Spa University Fine Art Degree Show & Loughborough Textiles Degree show, Strands, at the Truman Brewery.